I think you can put just about anything at all on a Ritz Cracker and it will be good. (Don’t go there with your filthy minds, please.) I’m thinking of food items. 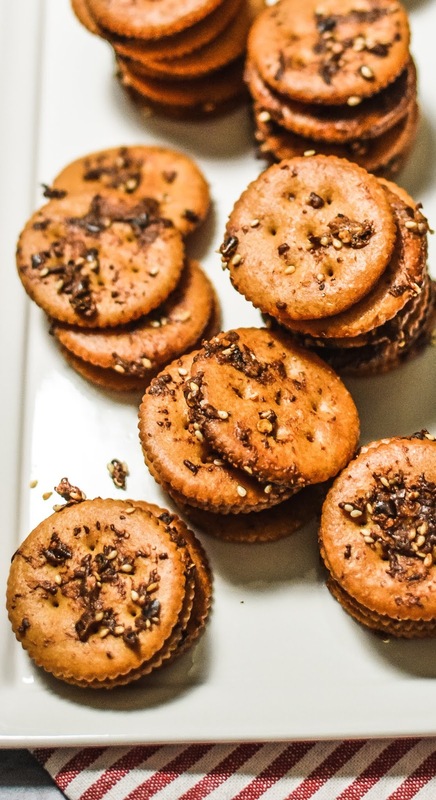 Every year I make a similar recipe with pretzels, oyster crackers, or cheese crackers, but this year I decided to make it with Ritz Crackers and I’m definitely not sad about it at all. 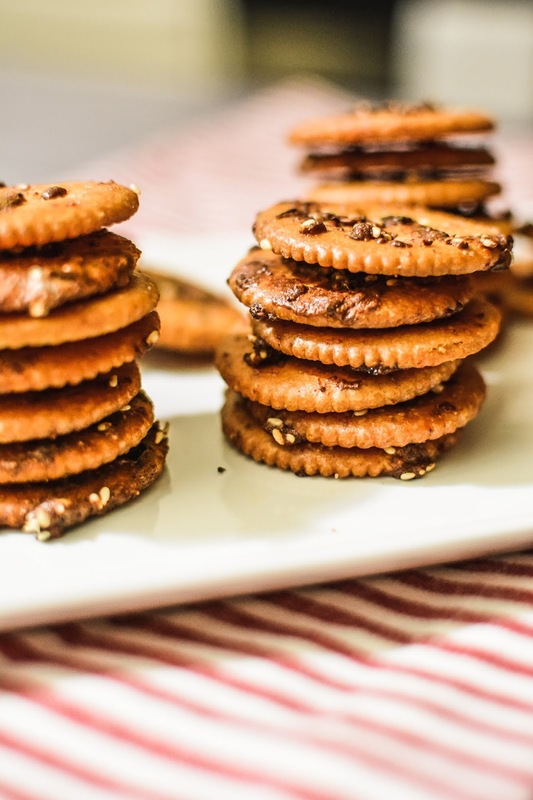 I call these crackers– Crack Crackers because they are so addicting. You CANNOT stop eating them. 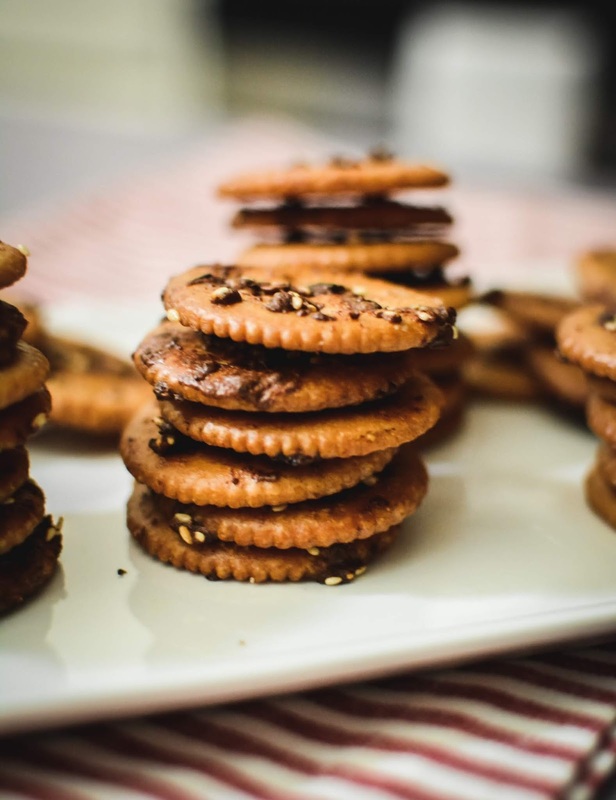 In years past I’ve made this recipe with butter flavored popping oil or canola oil and I would let the crackers sit instead of cooking them, which worked great. But last year I decided to make the crackers with butter and bake them for a few minutes. They were out of this world. I followed suit and changed the oyster crackers to Ritz and there is no going back. The key to these is to not overcook them. The butter becomes perfectly browned. They are heaven. Preheat oven to 300℉. Place the Ritz Crackers in a large Ziploc bag. Melt the butter in a microwave safe bowl. Add the rest of the ingredients to the melted butter and mix well. Slowly pour the mixture over the crackers mixing gently with your hands on the outside of the bag to ensure that all of the crackers are well covered. Place the covered crackers on two baking sheets in a single layer and bake for exactly 10 minutes. Remove from the oven and allow to cool completely. Store in an air-tight container for up to 1 week if they last that long.